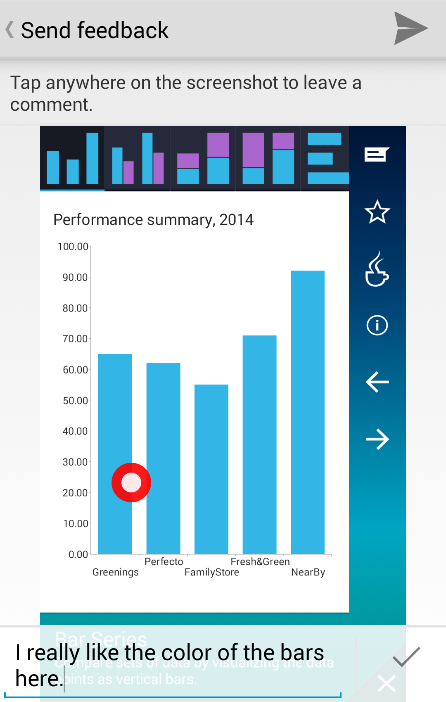 RadFeedback is distributed in a separate library as a part of the Telerik UI for Xamarin.Android suite. 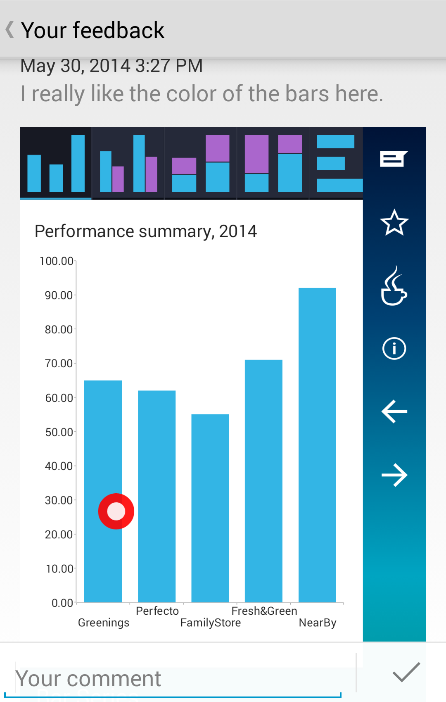 If you are using Eclipse as your development environment you can find the component in the \Controls\Eclipse\Feedback folder part of the main folder of your Telerik UI for Xamarin.Android installation. If you are using Android Studio as your development environment you can find an .aar package in the \Controls\Android Studio folder. UID - a unique identifier used to mark the feedback items sent from a given device. This identifier may be unique information about the currently logged user or the ID of the device. This identifier is extremely important as it is used to make feedback data sent by a particular user accessible only by them. RadFeedback implements the singleton pattern, i.e. 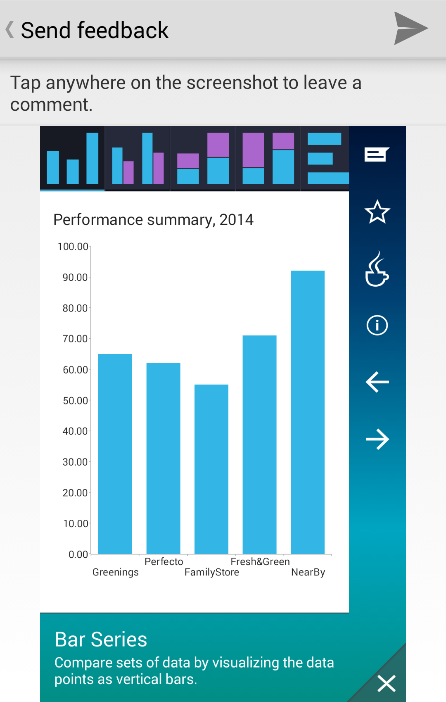 there is only one RadFeedback instance in memory during the lifetime of your Android application. The target of the feedback procedure will always be the activity that is passed to the show(Context context) method. If the user leaves a marker without a comment it will be automatically removed from the picture. You can edit the comment associated with an existing marker by tapping on it. After the user is done adding comments, tapping on the 'Send' button at the top right corner of the screen will finish the procedure. The conversation with the application developer. 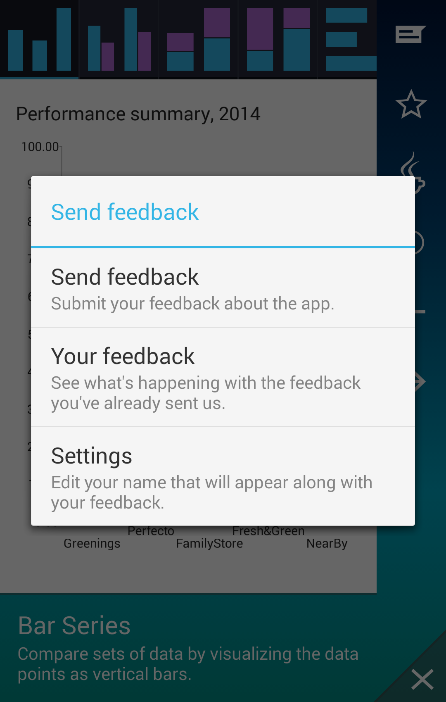 Your users can submit additional comments and read the response from the developer (you) on this activity. 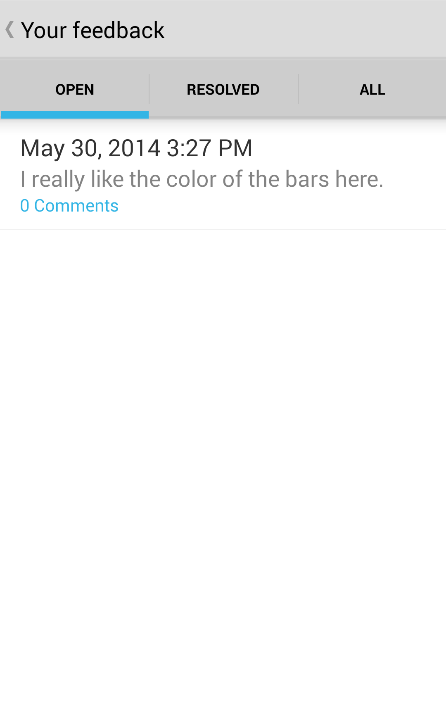 Comments are submitted by using the EditText instance at the bottom part of the activity. Cancelling the popup - this option closes the popup and interrupts the sending procedure. A second attempt to send feedback will launch this popup again. 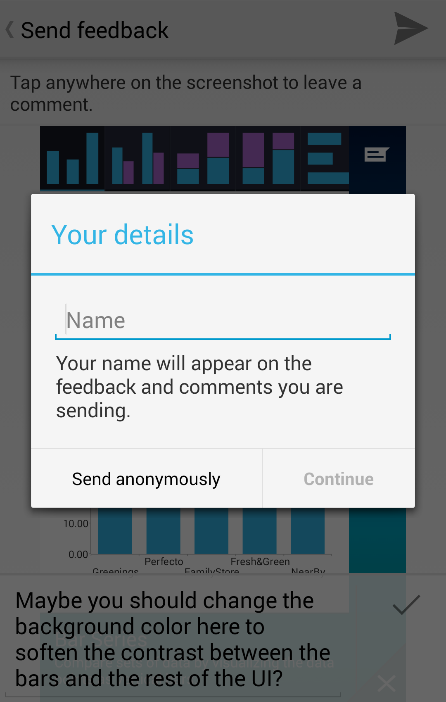 Sending the feedback anonymously - this option sends the feedback data anonymously. The popup will never be shown again. Providing a name and sending the feedback - this option sends the feedback data with the provided author name. The popup will never be shown again. Editing the already provided name is done by choosing the 'Edit settings' option from the main menu. RadFeedback allows for appending custom JSON content to each item created on the server. This feature is exposed by the setAdditionalContent(JSONObject o) implemented on the RadFeedback instance. This method accepts a JSONObject instance containing a key-value pairs representing the custom data to be uploaded. These key-value pairs will be merged along the standard Feedback item values in a final JSONObject that will be sent as a payload of the HTTP Post request that creates the item on the server. To stop sending custom data with each item, simply call the setAdditionalContent(JSONObject o) by passing null as an argument.